You would expect someone who spent her formative years racing down hills at death-defying speeds to look for a decidedly more exciting career path. 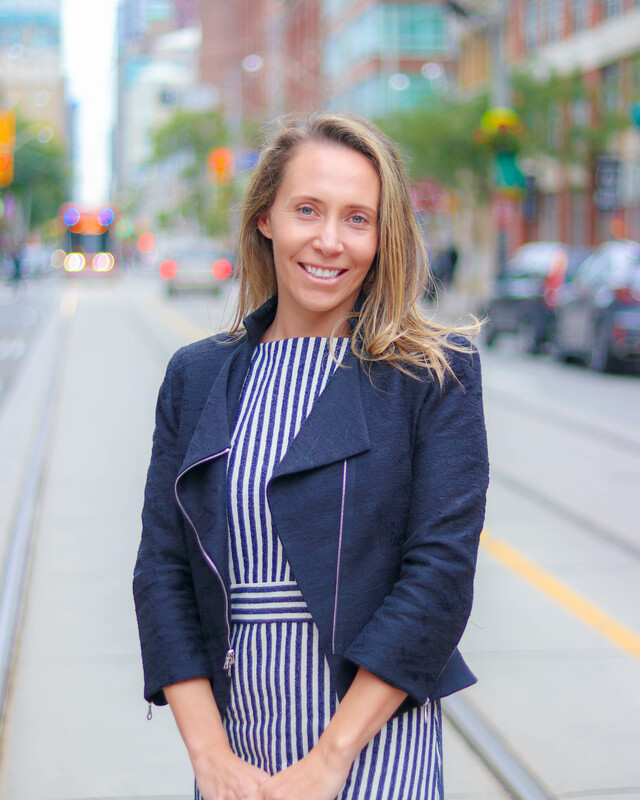 So, it’s no surprise that the desire to pursue a faster-paced professional life drew Erin Blair to the financial industry straight out of university. A competitive skier from the age of 6, Erin was immersed in two worlds—competitive downhill racing and finance—from an early age. Having an accountant mother meant being exposed to everything from balance sheets to insurance policies around the kitchen table. She recalls being interested in the latter into her teenage years. “I was always fascinated by the concept of insurance,” she says. “Volunteering at my mom’s accounting firm during high school helped me understand that I wanted to be working with clients to help them with their finances.” After graduating with a degree in economic geography from Queen’s University, Erin would go on to earn her Certified Financial Planner certification. She worked for a large wealth management firm, modelling and trading managed accounts and gaining multiple accolades for her exceptional performance, before taking on a role as an insurance advisor—invaluable expertise she brings to her work here at Outline Financial. Here’s what you may not know about Erin: Not surprisingly, the former competitive skier still loves to hit the slopes, preferably at far-flung ski resorts in Europe or Japan. In fact, she likes to travel as much as possible, typically on adventure or activity-based trips. When she’s not setting off on an exciting new voyage, Erin enjoys cooking with friends and exploring the city with her flat-coat retriever.